InformixZone and planetIDS says GoodBye! InformixZone and planetIDS say GoodBye! after approx. 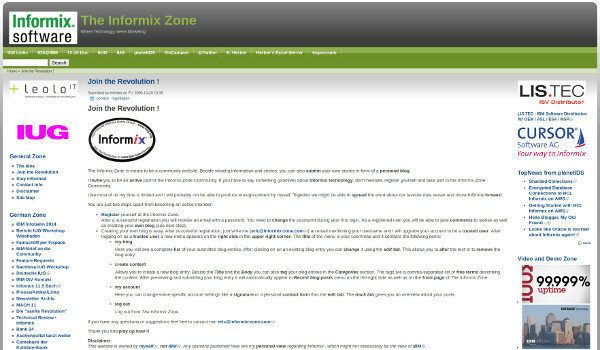 12 years - InformixZone started in 2006 and planetIDS followed in 2007 - I've decided to take those two Informix related websites down. The main reason is that due to the new European General Data Protection Regulation the efforts for adapting those legacy websites to the new data protection rules are simply too high and the risk for keeping them online as they are is completely uncalculable. The other reason is that I'm now out of Informix business for several years and concentrate on other things like Online/Affiliate Marketing. 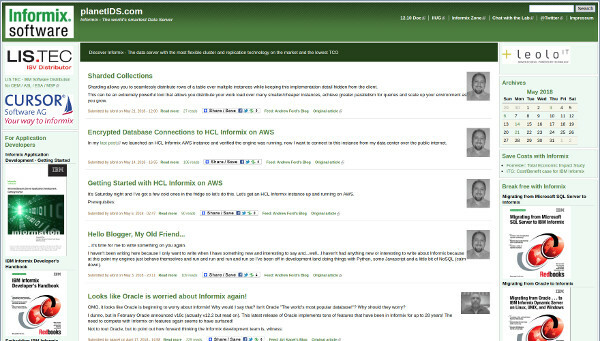 I wish everyone in the Informix community the best - Take care!